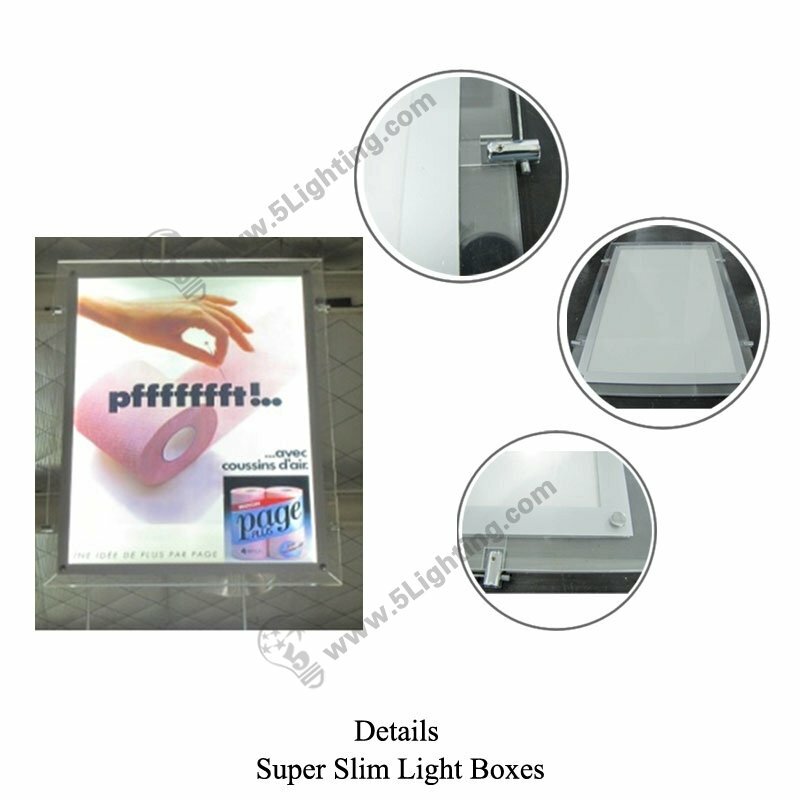 super slim light box crystal frame, ultra-thin crystal led light box double-sided. 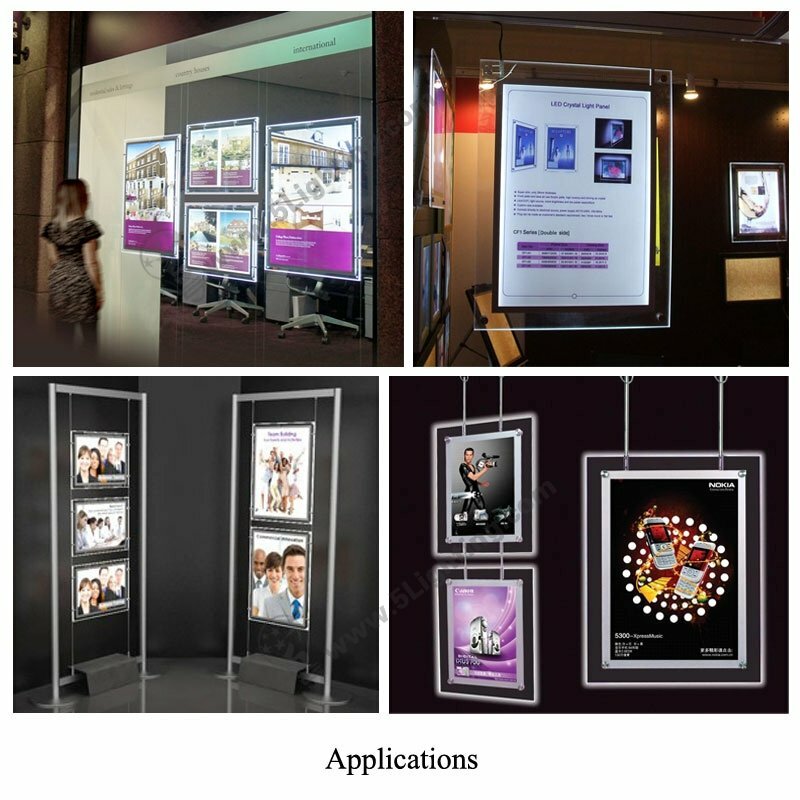 Application: perfectly to used in trade fair, cafe or night market while doing some promotion etc. 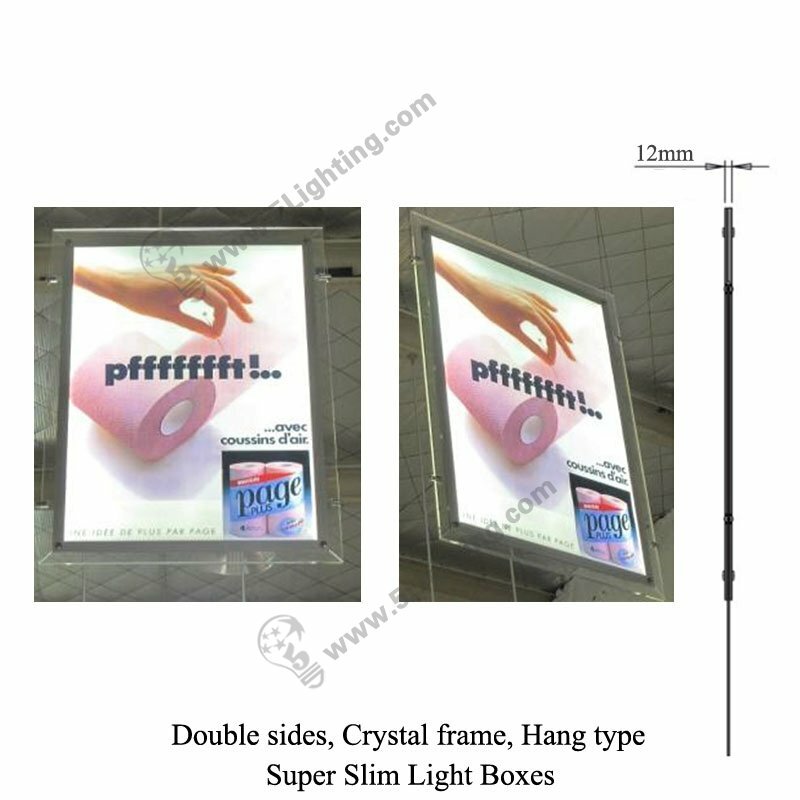 f): Innovated guided light technology of LED slim light box double-sided, has transformed line lighting source to flat light source, its working principle and high efficiency to be on a par with LCD screens. 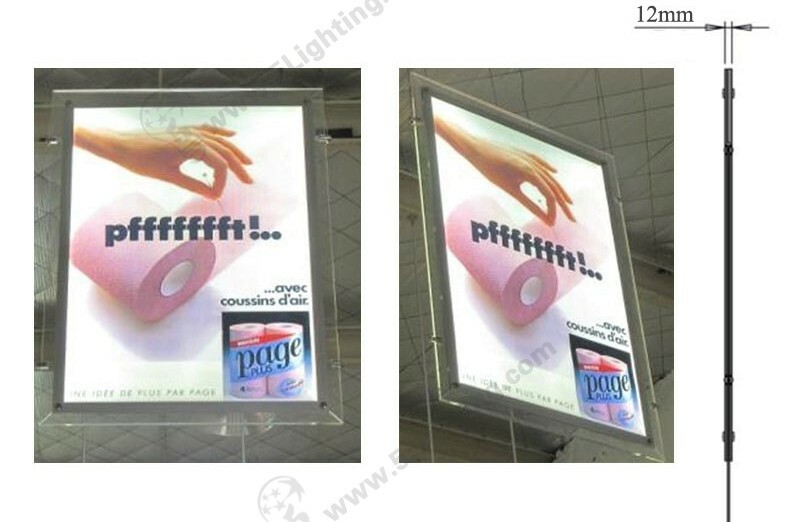 : Other places need to use waterproof advertising light boxes to display. 6. This product is not waterproof, to prevent a fire or shock hazard, do not place any cont with liquid near this equipment or expose it to dripping, splashing, rain or moisture environment. 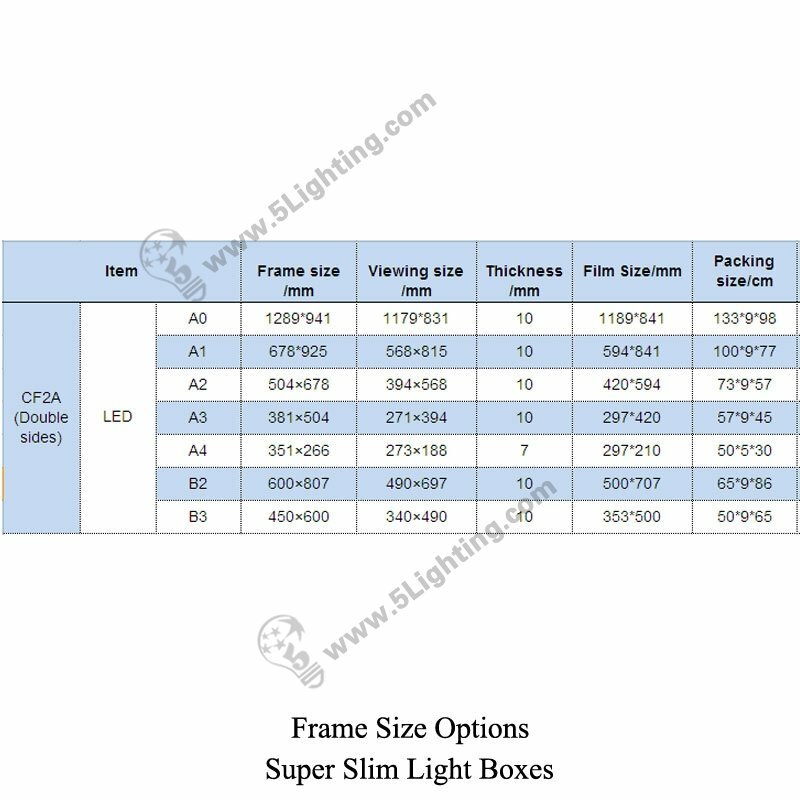 Good quality super slim light box crystal frame from 5 star lighting factory ! 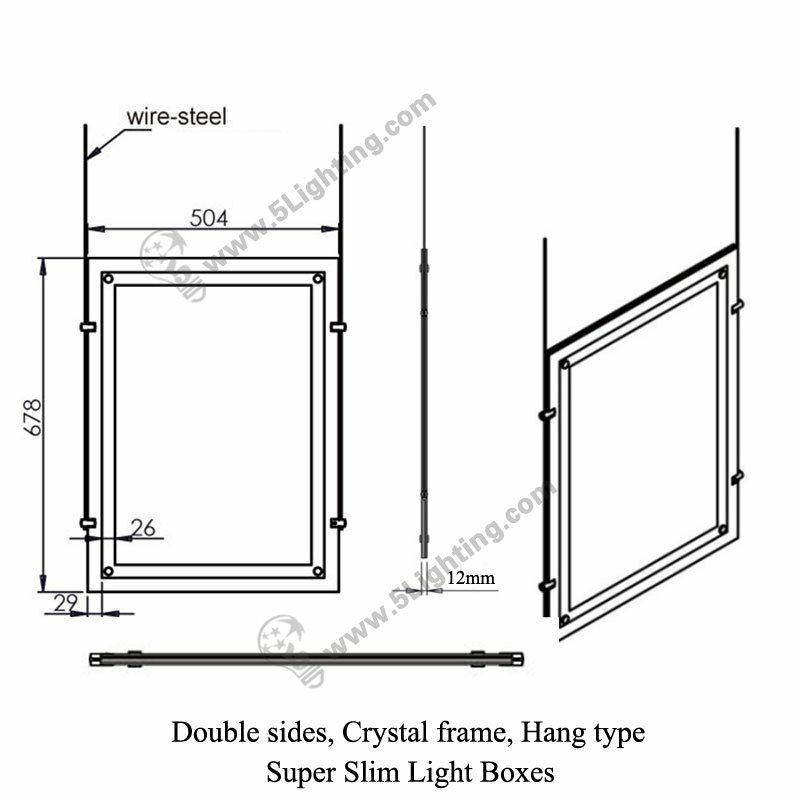 includes steel rope, fixture, and other optional accessories contains: movable or round pendant, which need be surcharged. 9. 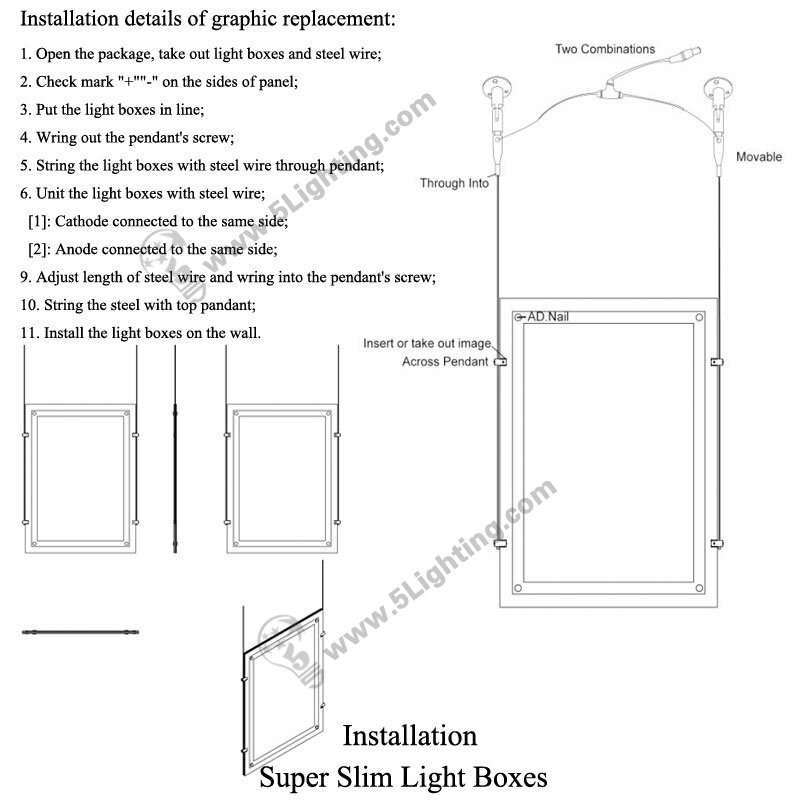 Install the light boxes on the wall.